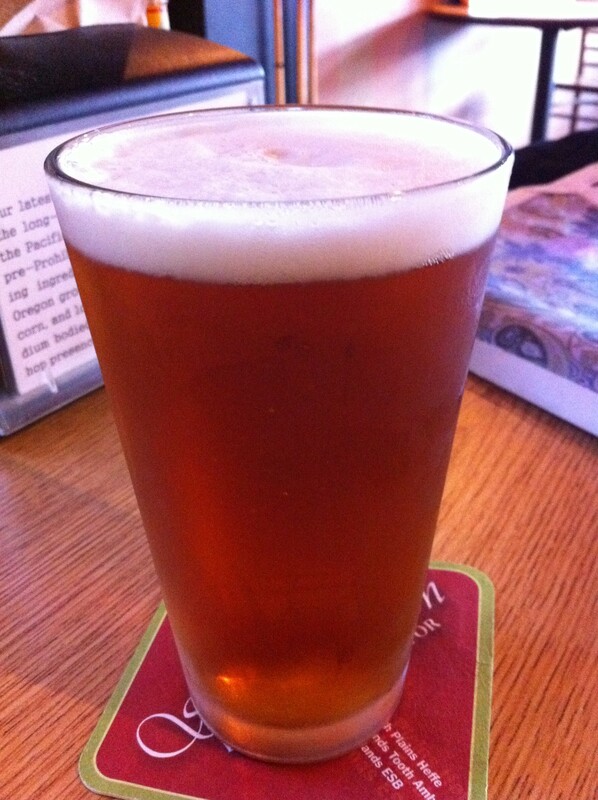 HOPopatamus is a wet hop IPA brewed using fresh Oregon grown hops. This award-winning American IPA clocks in with a drinkable 6.4% ABV. Made with 100% Oregon Grown Cascade Raw hops this deep straw colored ale is for the hop lover who can’t get enough. Big, bright spicy hop flavors will blast over you as HOPPO satiates all desires hoppy! HOPopatamus pours a light caramel color with a creamy film of white atop it. Lacing is thick and clings to the side of the glass like wet paint. A steady stream of bubbles can be seen pushing its way up through the beer. The nose is a rather muted pine scent with sweet hints of grapefruit and shoe polish. Well, the shoe polish wasn’t sweet, but it was present. There’s really not a whole lot going on with the nose; at least not as much as one would expect from the style. Taste is mellow, but hoppy! Pine comes through first with a flavor that seems like literal wet hops. A bready malt flavor appears toward the end to balance out the flavor. These malts give the beer a smooth finish. Mouthfeel is light, but sticky. There is a faint burn and residue left behind, but it falls short of your standard IPA. This was a well put together fresh hop IPA. I could literally tell that it was fresh and that is a first for me. The hops and malts are well-balanced, which made this beer an easy drinking experience. Not something you find every day.